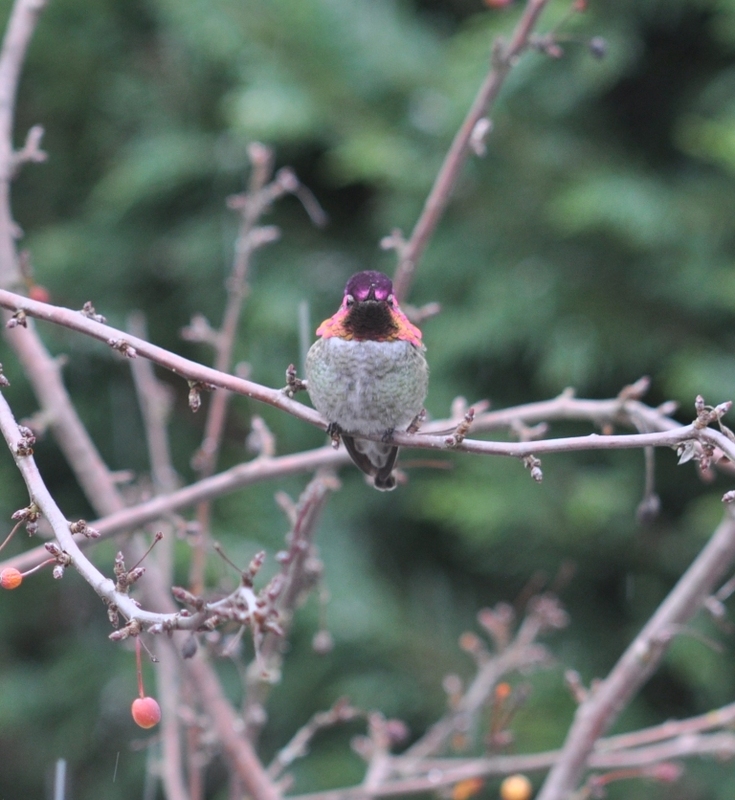 A couple of Anna’s Hummingbirds, year round Northwest residents, settled in for the winter. 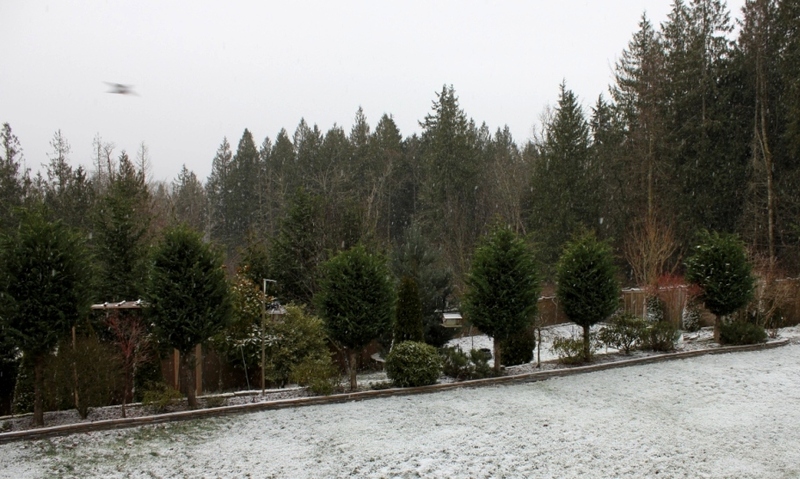 That little blur in the upper left of the first photo is one of the tiny birds flying through falling snow. It really is quite amazing that these tiny birds manage to survive winter. Not that our Northwest seasons are all that extreme, but when you consider the exceptionally small body mass of these little avians it’s a surprise that they even live through our cool summers. There is a physiological trick to this of course, or we’d have no hummers at all. The hummingbird trick is torpor. In winter or any kind of cooler weather the body temperature of the little birds drops at night. 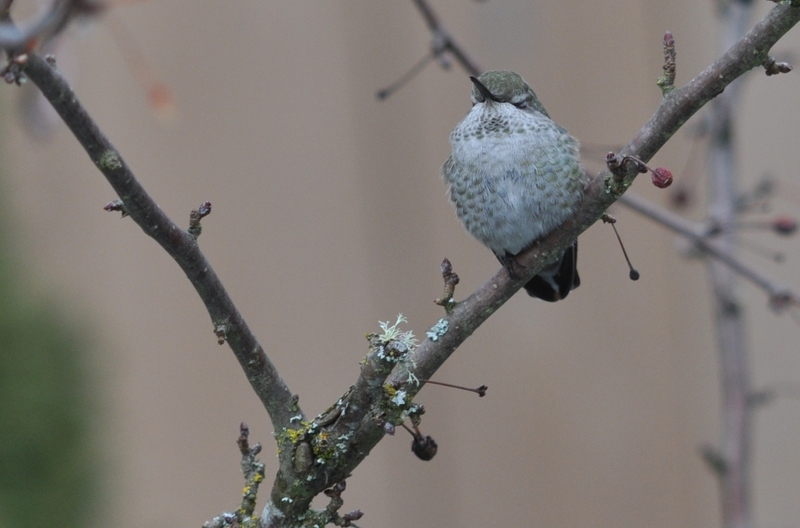 In climates like ours where the Anna’s hummingbird overwinter, the body temperature hovers to a point just above that necessary to sustain life. Each morning the birds awaken and “shiver” themselves back to a normal temperature – then its off to find enough food to get them through the next day and night. Research has shown that overwintering hummingbirds also tend to eat more insects, thus providing a cache of protein and slower burning energy.